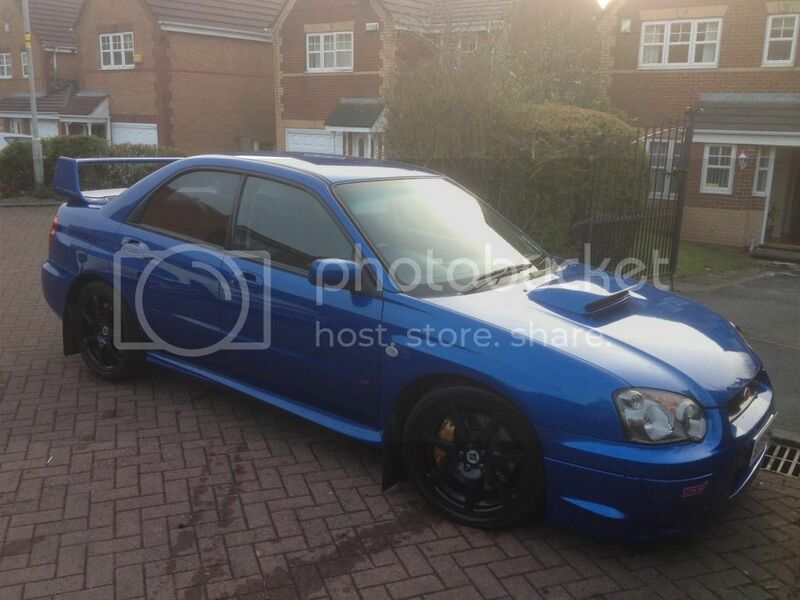 I have had for sale my blob 2004 STI Type UK for a little while with no takers so decided to break the car to recoup as much of my spend as I can. 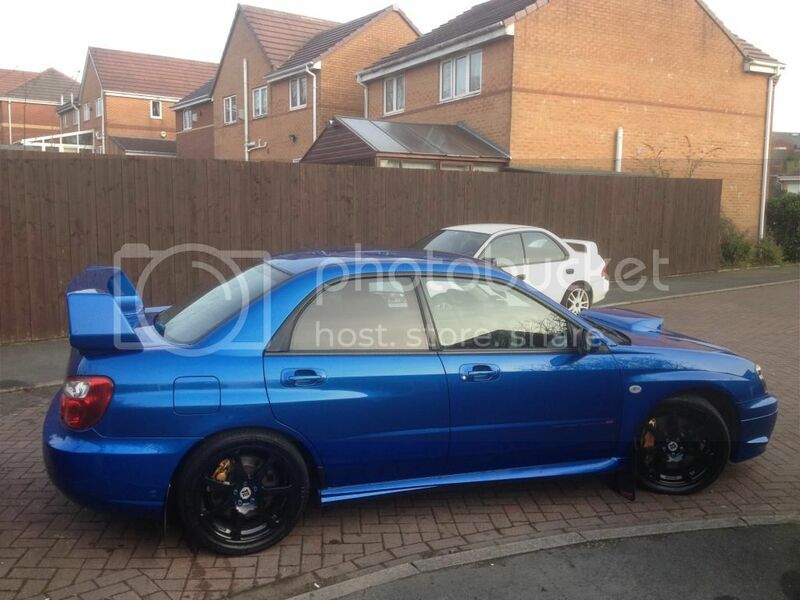 The car is a 2004 Impreza STI Type UK in blue, genuine excellent condition! engine is mint, per Duncan @ Race Dynamics and Andy Carr who both have mapped the car recently. car has covered circa 90k and was standard until about 85k. Full history, majority of which is actually Subaru (up to 75k). Brian at CAMS will be stripping the car for me so parts professionally removed. 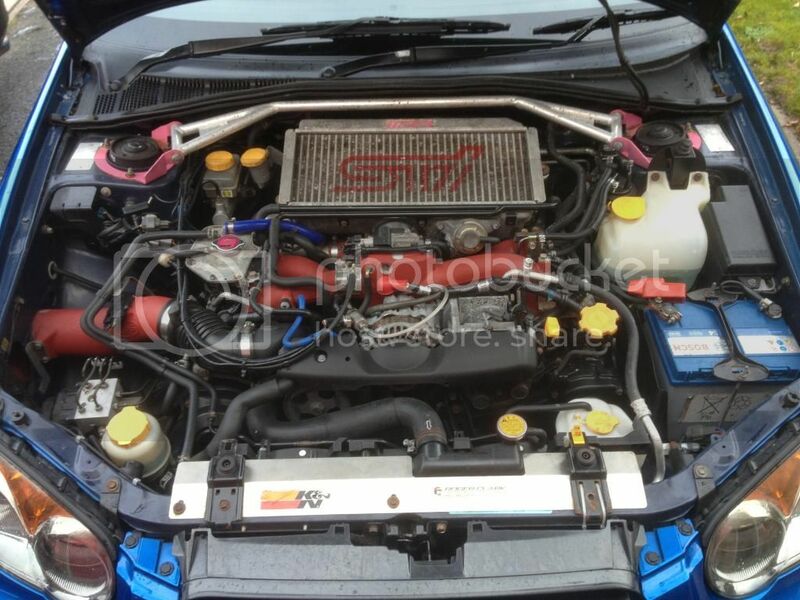 Car is running perfectly and can be seen as such for those interested in the engine, gearbox etc. As mentioned all body panels in excellent condition, front bumper and bonnet was repainted around 12 months ago just to repair a few stone chips. 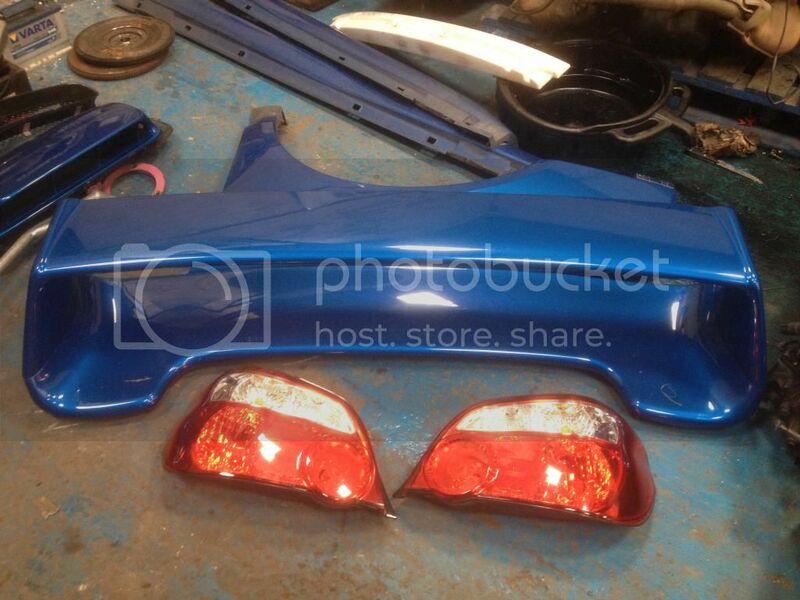 Also rear boot lid and spoiler were done at the same time. What's the gauge Andy? All wiring n sensors etc included? Hey Martin, Hows the Forester pal? You know I cant remember the make of the gauge, and I have left the car with Brian today as he has someone who wanted to have a go in it who is interested in the gearbox. I can try and check tomorrow for ya, if not will be Monday. Its a pretty cool thing really, boost gauge with digital readout for the other info. Everything can be included yer.... will get back to you when I know bud. 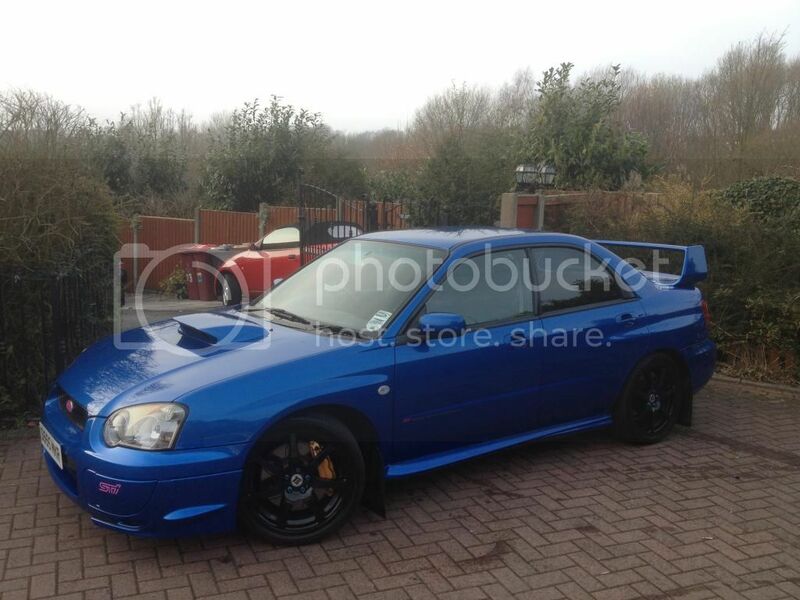 Im after a decent set of wheels . What make/size/how much ? They are 17" Innovite WR1 style wheels, very good used condition, I have already got a member on first refusal for them however. interested in the aps cold air in wing setup? how does it perform on the car? does the filter get absolutely filthy with dirt and mud etc? heard a few stories regarding this? you dont seem to have an air feed running to it from the fog light or is it coming from somewhere else? sorry for all the questions lol. Last edited by johnnybon; 21 July 2014 at 08:54 AM. hi how much for the diff ? also the back box ? 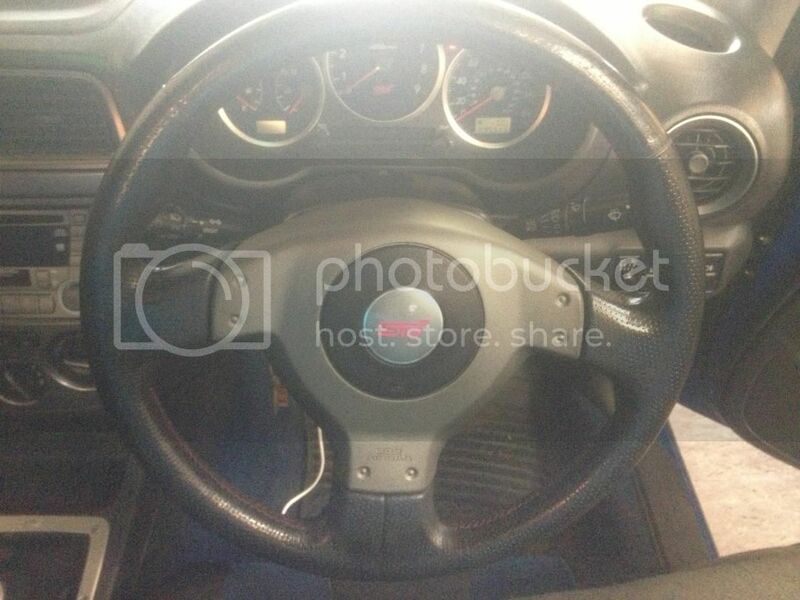 how much for steering wheel bud? Sorry for the delay, was out yesterday. Rear diff is £200 plus postage pal. Never had a problem with it pal and had this same set up on my other Blob which did have a feed from the fog light cover. The inner wind is pretty protected by the wheel arch liner etc. Its performed well, see the log of the car thread, RR print out up etc. The rear Brembo's possibly are going in a deal with all the running gear. Front discs and pads I am going to put on the Mrs Blob pal as they need changing on that. No worries about the brakes dude, already brought a set now. 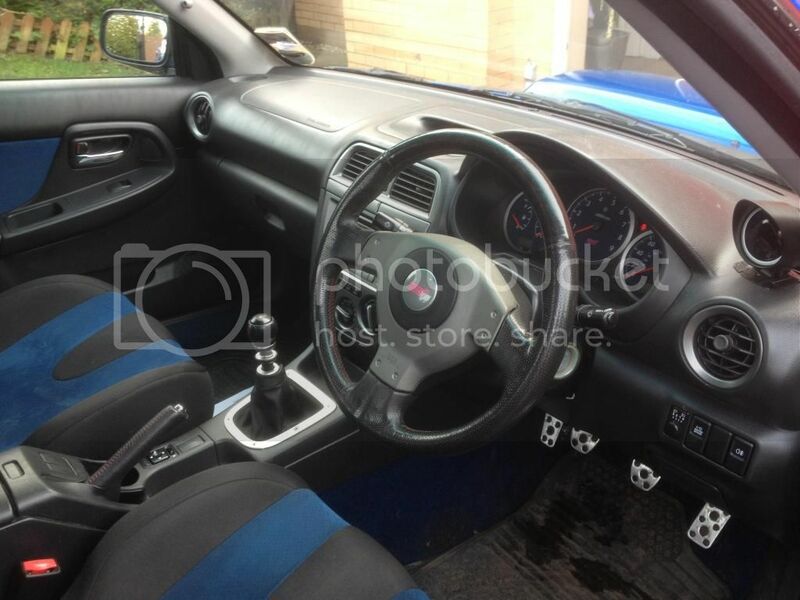 Hi pal, £110 for the 3 spoke STI steering wheel. The 6 speed gator and surround will be £25 posted pal. The heater and radio surround I am going to use in the Mrs as its previously been cut for a headunit. 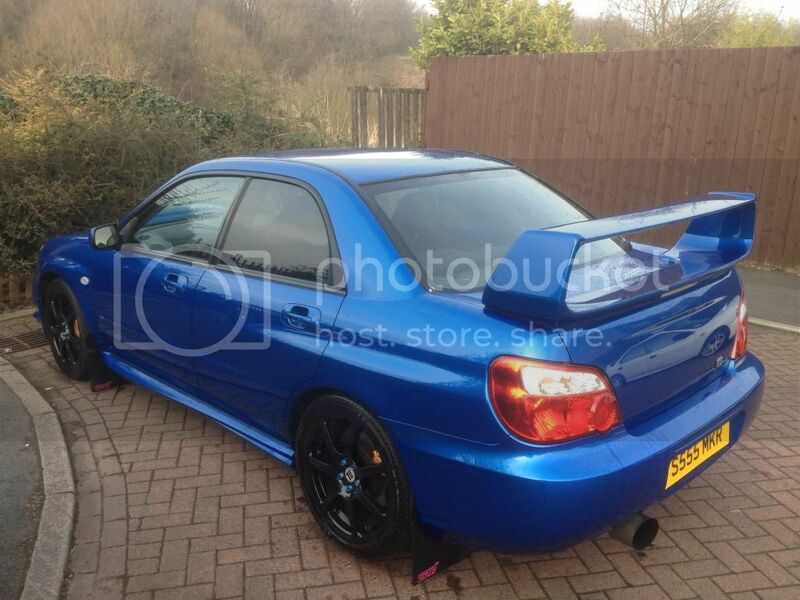 How much for the bootlid posted?is it the round lock and good condition? 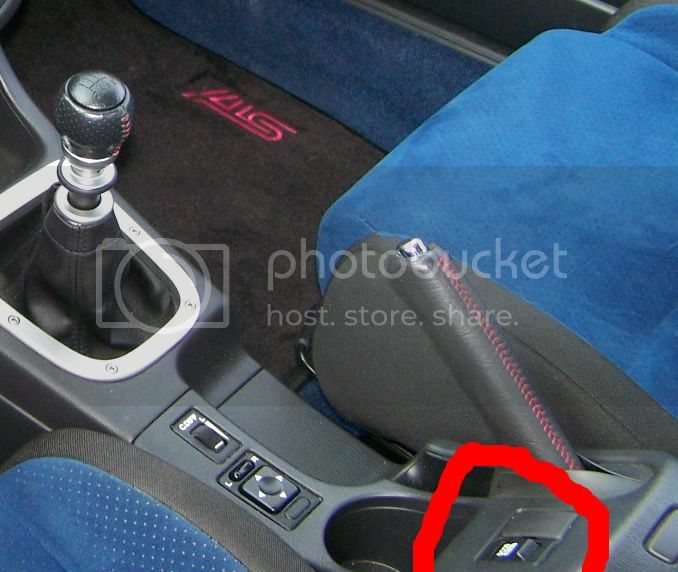 After the Blanking Switch's next to the handbrake. Its the square lock and yes very good condition as it was painted just over a year ago. Its also been de-badged.